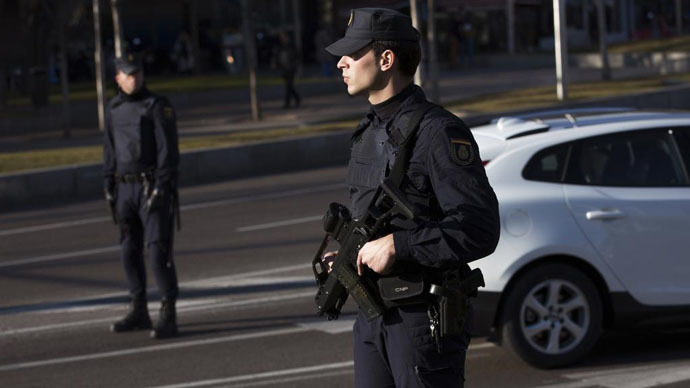 The Spanish civil guard has secured the release of a 2-year-old child who was held hostage by an assailant at a creche in a town west of Madrid on Tuesday. The man, who is between 40 and 50 years old, initially took several people hostage, but later they were released, with only one child held for about 5 hours, Efe news agency reported citing security sources. The assailant was detained. The Civil Guard arrived at the scene of the hostage crisis in the town of Colmenar del Arroyo and cordoned off the area around the creche.Sources told Efe that the man who is a local resident was “very upset”and was wielding a sharp metal weapon, possibly a box-cutter. Colmenar del Arroyo is a small town located some 60km west of the Spanish capital, with a population of about 1,600 people.